Kathie Guckenberger has represented Colorado public entities since 2009, and has been with the law firm of Michow Cox & McAskin LLP since its inception. She represents and counsels Colorado municipalities on a broad range of local government legal matters. Kathie currently serves as the Town Attorney for the Town of Lyons. She advises the Town on all aspects of municipal legal matters, including open meetings and open records, contracts, ethics, general liability issues, elections and campaign finance, business licensing, real property, and zoning and land use matters. She also regularly drafts and interprets municipal code provisions on a wide variety of issues and coordinates with outside counsel when necessary. 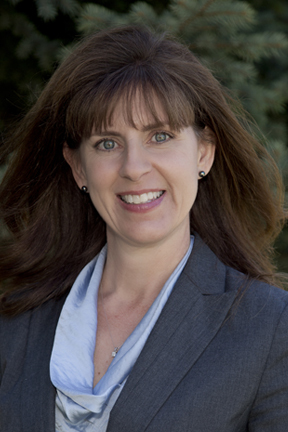 In addition to her Town Attorney duties, Ms. Guckenberger assists with the firm’s legal representation of the Cities of Castle Pines, Central, Cherry Hills Village, Lakewood, Leadville, and the Town of Milliken. Since 2013, she has served as a hearing officer for the City of Fort Collins on marijuana licensing matters. Kathie also has extensive experience in employment matters and ADA compliance. In addition to providing timely counsel regarding personnel disputes and compliance, she drafts employee handbooks and related policies, separation agreements, and documentation in employee discipline matters. She also routinely obtains successful results for the firm’s clients in responding to complaints filed with state and local administrative agencies on employment and other matters and representing those clients in related hearings. Prior to joining the firm, Kathie practiced law with Widner Michow & Cox for six years, which also represented Colorado municipalities. She began her legal career in the Hillsborough County Attorney’s Office in Tampa, Florida, where she was responsible for legal advice concerning employee relations, benefits, and contractual issues for over 4,000 public employees. On behalf of the County, she handled adversarial employment proceedings, counseled on a variety of personnel matters, and acquired property under eminent domain proceedings. She subsequently worked at CCH, Inc. in St. Petersburg, Florida as an Associate Writer/Analyst on their Employment Practices Guide. Ms. Guckenberger also served as an adjunct professor at St. Leo’s College in Tampa, teaching in the Human Resources degree program. Colorado County Attorneys Association Annual Conference. “Everyday ADA,” Colorado Springs, CO, November 20, 2015. CLE International, Local Government Law. “Everyday ADA: Complying with the Americans with Disabilities Act,” Denver, CO, April 17, 2015. Colorado Municipal League Annual Conference. “Employee Handbooks: Sword or Shield?”, Breckenridge, CO, June 2014. “Privacy and Privilege in Personnel Matters,” Breckenridge, CO, June 2012. “Legal Implications of Social Media,” Vail, CO, June 2011. Harassment Training (modules for line staff and managers and supervisors). Legislative and Judicial Update for police department. Motor Vehicle Search & Seizure for police department. Title II of the ADA—The Basics, a presentation designed to raise employee awareness of Title II of the Americans with Disabilities Act in a large municipality. ADA 101, a training session on compliance with Title II of the Americans with Disabilities Act for local government ADA Coordinators.